On Sale Now! Free Shipping Included! 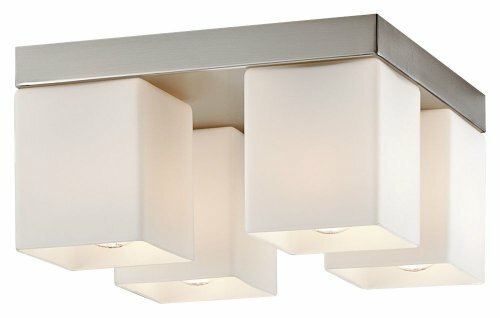 Save 5% on the Philips Forecast F445336 Vancouver Island Ceiling Light, Satin Nickel by Philips at Result BD. MPN: F445336. Hurry! Limited time offer. Offer valid only while supplies last. Four-light Ceiling in Satin Nickel finish with etched white opal glass * Forecast Lighting was founded in Southern California in the early 1970s. Four-light Ceiling in Satin Nickel finish with etched white opal glass * Forecast Lighting was founded in Southern California in the early 1970s. From the very beginning, Forecast focused on developing distinctive contemporary lighting designs, developed with the benefit of continual customer feedback as well as a careful analysis of the home décor trends of the day. In 2010, Forecast became part of Philips Consumer Luminaires, North America. Four decades after Forecast's founding, we continue to build on a unique legacy of a customer-focused brand delivering exceptionally well-styled products for both residential and commercial lighting.